Being an introvert shouldn’t stop you from delivering your message confidently – as Wani Azahar learns. As part of the editorial team, we are all given opportunities to build our personal brand. From hosting events to video interviews, public speaking plays a great deal in these myriad of duties. Being the introvert that I am – contrary to my colleagues’ beliefs – I struggle whenever I’m faced in front of blinding lights and the intent faces of esteemed HR leaders. However, this shouldn’t define nor deter your goals as a leader. Having countless meetings with stakeholders and multi-market conference calls, here are some findings I’ve gathered on delivering your message #LikeABoss. 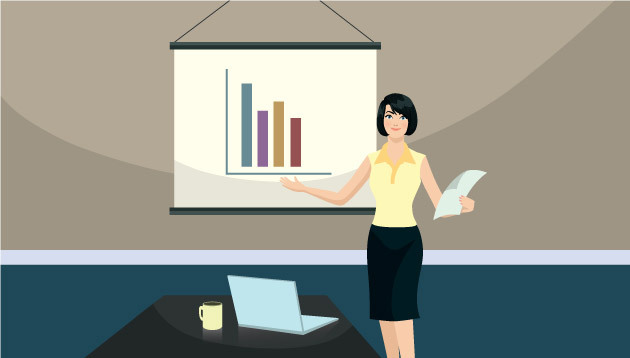 According to Women On Business, every speaker brings a certain expertise to the table. Likewise, have confidence that you have been chosen to deliver this message not only because you know the topic well, but also because you know what you will be talking on. The keyword here being – you. Take the pressure off of “a perfect presentation” by reminding yourself that your staff or audience don’t know what’s in your speech. So even if you made a blunder, they probably wouldn’t have noticed, thinking it’s all part of the game plan. It may be a big annual presentation or just your weekly internal updates. Either way, here is a group of people who have taken the time off to listen to what you have to say. Be mindful of that and thank them for their time, as suggested by Entrepreneur. It doesn’t matter if they’re top management or your team, showing appreciation is key to building engagement. In fact, staff appreciation weeks are partly how DHL achieved its 90-plus score on staff engagement. Personally, I’ve found that getting to know my audience a little better helps in easing the anxiety before any big hosting or presentation duties. This could be a simple introduction to speakers or quick networking before the next session starts. Putting a face to the name helps to create familiarity, and knowing you have some “friends” in the audience reduces the tension of any awkward icebreakers. One pro-tip from GetVoIP on starting conversations? Compliment others.